The World Bank, with support from the GEF, has been among the largest financiers of biodiversity conservation in Africa. Biodiversity work, amounting to about $360 million, is included in around 50 projects currently being implemented in the Africa region. Photo: EcoPrint/Shutterstock. Africa is home to a rich and diverse animal, plant, and marine biodiversity that provide critical ecosystem services, driving the continent’s economy and serving as buffers to climate change. However, the continent is experiencing a dramatic loss of biodiversity. It is estimated that by 2100, climate change alone could cause the loss of over half of African bird and mammal species, as well as trigger a 20%–30% decline in lake productivity (the plant and animal life produced by a lake), and a significant loss of plant species. Even more immediate are the ongoing threats to African biodiversity from natural habitat loss and degradation (especially from agricultural expansion), direct overexploitation of wildlife and fishery species (including from illegal hunting and trade), and the spread of certain non-native invasive species. This loss of biodiversity affects livelihoods, water supply, food security and lessens resilience to extreme events, particularly for people living in rural areas who are often the poorest. The World Bank Group is working with countries to better conserve and sustainably manage biodiversity. This includes investing in watershed management, integrated coastal zone management and protected areas, as countries strive to achieve their development goals and poverty reduction plans. A key approach is to help countries find ways to generate revenues from biodiversity—including through tourism or payments for environmental services—that can cover the cost of managing biodiversity and improving local economies. At the same time, the World Bank Group also works closely with partners to improve forest governance and prevent wildlife crime as a way to protect the value of nature-based tourism which in turn affects the resilience of people living around protected areas. Recognizing, measuring and managing natural capital and ecosystem services at the country level is key to protecting biodiversity. The World Bank has been working with several countries in Africa to incorporate the physical and monetary values of natural capital in decision-making processes. The World Bank, with support from the Global Environment Facility (GEF), has been among the largest financiers of biodiversity conservation in Africa. Biodiversity work, amounting to about $360 million, is included in around 50 projects currently being implemented in the Africa region. In Mozambique, the World Bank is supporting the government’s Mozambique Conservation Areas for Biodiversity and Development Program (MozBio). 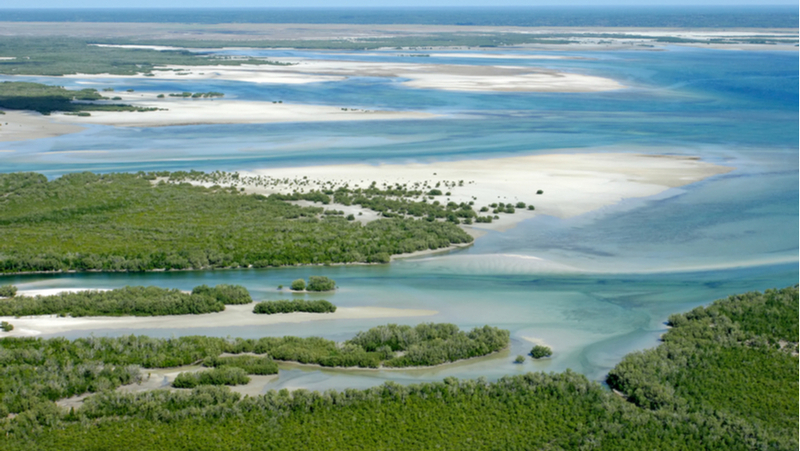 Mozambique’s Conservation Areas have been designated to protect the country’s diverse habitats —which include a coastline with spectacular coral reefs and over 6,000 plant, bird and mammal species. The first phase of MozBio (2015-2019) involved over 60,000 beneficiaries (almost half of whom are women) in 10 protected areas, including the Chimanimani, Maputo Special Reserve, Gilé and Quirimbas National Parks; and leveraged over US$500 million in private investment pledges. The second phase of the project goes through 2023 and aims to further support rural communities while continuing conservation and biodiversity efforts. So far, the MozBio Program has amounted to more than $100 million. In Gabon, the World Bank helped enhance the conservation of biodiversity in parks, buffer zones, and forested wetlands. The projects expanded the knowledge and expertise of conservation-related entities and put in place an efficient monitoring system for wetland ecosystems, making possible the sustainable management of the resources. Income-generating activities have also reduced illegal fishing and poaching and promoted eco-responsible behavior in adjacent communities. These efforts contributed to the addition of nine natural sites making up 2.8 million hectares to the RAMSAR-classified sites. In Tanzania, the $220 million World Bank-supported SWIOFish Project is helping fishing communities in Comoros, Madagascar, Mozambique, Seychelles and Tanzania as well as the Maldives to increase economic benefits from fisheries, rebuild fish stocks and restore livelihoods. The project also contributed significantly to the reduction of illegal fishing practices, such as blast fishing in Tanzania. In South Africa, the World Bank, through a GEF grant, provided implementation support to iSimangaliso Wetland Park, a UNESCO Heritage site, to improve the ecological functioning of Lake St. Lucia. The program also helped to create sustainable job opportunities for the community in and around the park, including 75 conservation-compatible enterprises. In addition, 185 people were trained in business development, 77 young people were given scholarships to attend courses, and 393 local leaders applied skills from the training provided in resource management to improve co-management of the park. A second phase is now being prepared with GEF 7 financing, expanding the approach to other protected areas in the country. This story was originally published by The World Bank as part of a series that ran ahead of the third edition of the One Planet Summit which took place in Nairobi, Kenya, on March 14, 2019. The Summit brings together global leaders, entrepreneurs, international organizations, and civil society, to help accelerate and focus attention on climate investments in line with the Paris Agreement objectives. The Summit focused on promoting renewable energies, fostering resilience and adaptation and protecting biodiversity in Africa.